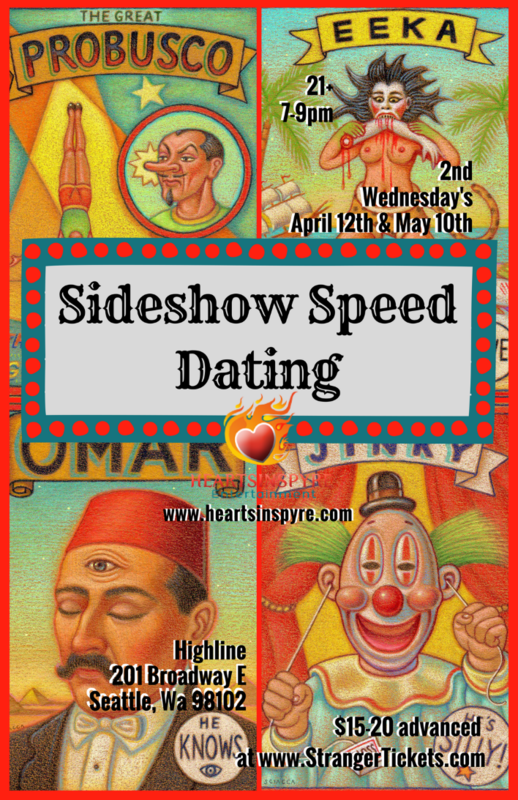 Strange people ~ alive ~ doing strange feats! 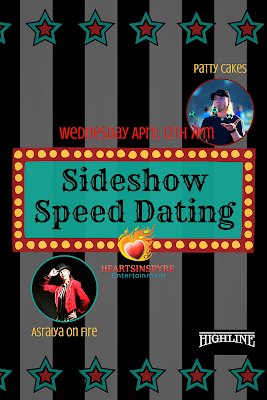 See the fun makers, dare devils, freaks, and ferocious performing artists of Heartsinspyre Entertainment before your very eyes. 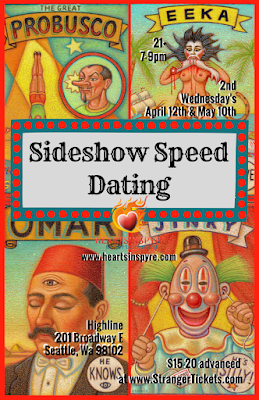 Step on up and make your reservation for Sideshow Speed Dating: 👫 Where you can meet fellow singles amongst the wonderful wickedness of a carnival of bizarre. 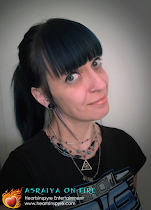 This month features the hoochie coochie talent of aerial hoopist: Lyrik Allure! 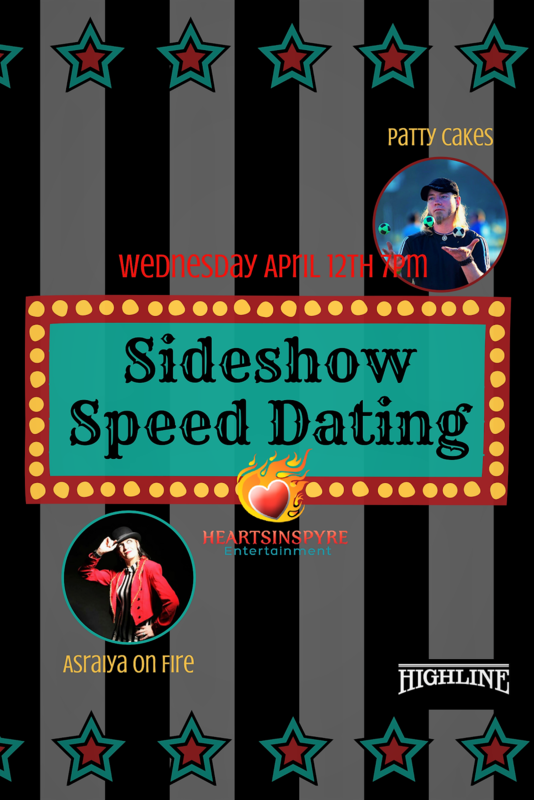 Plus the dazzling array of dexterous juggling demonstrations of funny man: Patty Cakes! 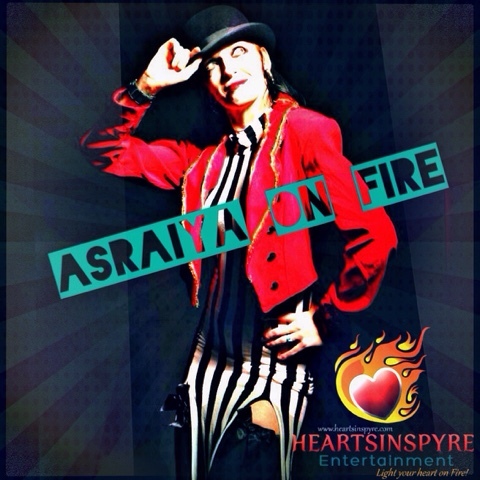 All this is heralded by the Lady of Flames, Mistress of the Ring, your Master of Ceremony: Asraiya On Fire! Oddly curious? 💫Sign up before 7pm and be at Highline by 7:30 when we will start the show. At the end just turn your dating picks in and within 24 hours we'll let you know IF the connection was mutual. 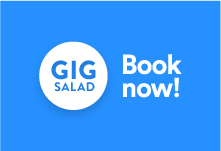 Hire me cuz I'm AWESOME!